At Piano Restorations we can bring your piano to life with a QRS Self Playing System. 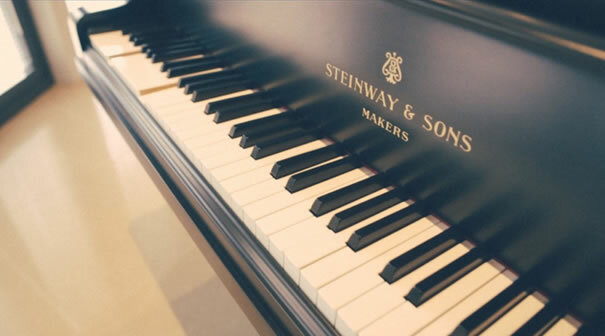 The QRS system allows your acoustic piano to play completely automatically with moving keys, allow you almost endless music to be played on your piano. Operated from your smart phone, tablet or laptop, you can select music from a vast database, adding playlists and controlling the volume from the comfort of any room in your home. Not only can the system play music it can also tech you how to play the piano and record your music and play it back to you. The QRS Self Playing System will complement your piano ensuring the technology stays relevant and up to date as when you purchased the piano. The mechanic of the system is completely discrete and aesthetically pleasing using modern technology and wireless features, which ensures there is unsightly boxes or a reduction in your pianos value. There are 3 ways in which you can control your player system either by Traditional Remote Control, WI-FI enabled devices or legacy controls such as CD or a controller you are familiar with. Music is on demand on the system, so there is no software programs involved such as itunes. The interface for the system is wireless not the music so you wont get any interruptions from bad signal. Your pianos functions will not be effected in anyway and when you are not using the QRS system the piano will play as beautiful as before you had it fitted. The QRS system will be adjusted to your pianos dynamics ensuring the release of the keys and pedals as well as the attack are fluid and complementary. Added features of the QRS system allows you to record your music, teach yourself to play the piano giving you feedback on key movement to improve accuracy and performance, and also networked lessons, performances and recordings can be played through your piano. You can link your piano to a media screen and watch your favourite artist play your piano.